﻿ newest-flyer-pdf - You're never too little to make a BIG difference in this world. Nothing's impossible! : You're never too little to make a BIG difference in this world. Nothing's impossible! DONATE! & Buy Virtual Lemonade! 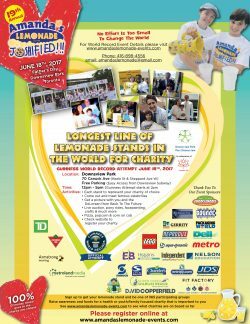 17th Annual Lemonade Stand – JOSHIFIED!!!!!! Excitement building but people want more time to be involved and to raise funds for their charities to be part of this once-in-a-lifetime world record event! Contact us for more information, and we look forward to breaking world records and making the world a better place on Father's Day 2018! You're never too little to make a BIG difference in this world. Nothing's Impossible! © 2019 Copyright You're never too little to make a BIG difference in this world. Nothing's impossible!. All rights reserved.